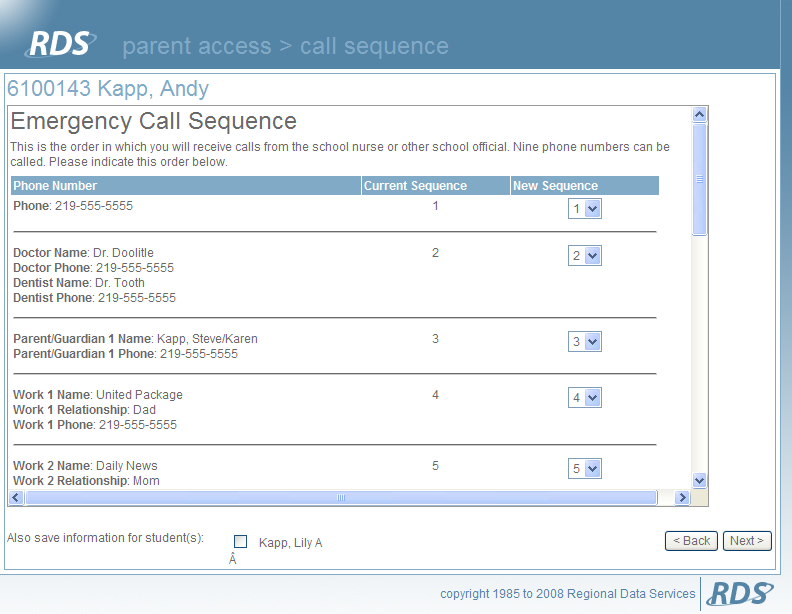 Regional Data Services Employee Access Software provides employees access to their payroll information online. View pay stub information, W-4 information, benefits, leave, track license and contracts. Create PDF documents for a single pay stub or by a selected date range. 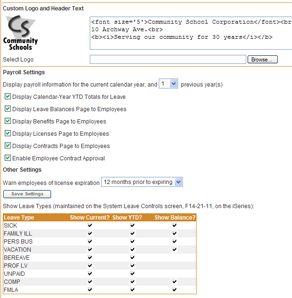 Employers can have messages displayed for all employees or by class, job or location. Save money by eliminating printing and delivering Direct Deposit Advices. 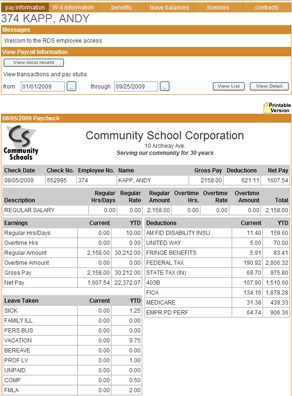 • User-defined tables for pay classes, job codes, absence reasons, direct deposit bank codes, ethnicity, pay/work locations, leave reasons, etc. • Mass update features for: years of experience, number of pays, steps, account numbers, etc. Q. Do I have to download any data or spool files for updating my pay stub information? A. No, the employee information is directly accessed from your current database. Q. Would employees need any special training to access their pay information? A. No, this intuitive module comes with help screens to help answer any questions. Q. I like everything I see about the software but would it be possible to try it out on selected employees? Q. Since budgeting is a big issue how can I show the finance department that the employee access software can save us money? A. We developed a ROI Spread Sheet that will help calculate your potential savings. Q. How long does it take to set up and train administrators to use the software? A. Usually it takes around an hour for set up and training.